Starting secondary school is an important and sometimes daunting time for both children and parents. At Ark Globe we want to make this process as smooth as possible so we have put together a Transition Programme created to ease the move from primary to secondary school. We run a series of events in the run up to September designed to help the transition from year 6 to 7. From taster days and Summer schools to fun barbecues and residential trips, we aim to ensure that our new year 7 have lots of opportunities to make friends, see the academy and meet their new teachers ahead of starting here. 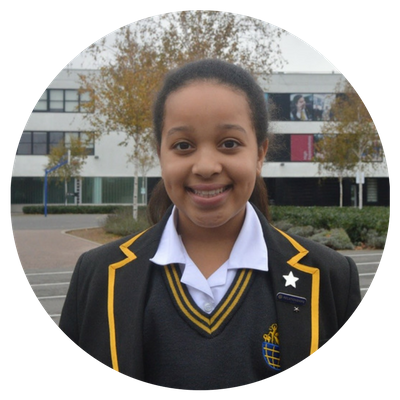 "When I first came to Ark Globe Academy, I felt really lost as it was so different from primary school. I was really out of my comfort zone because everything was new to me, especially the location. I was so used to my old primary school schedule and was nervous about going to a ‘big’ school. However, as soon as I stepped foot onto the premises of Ark Globe Academy, everything changed. The teachers and the other students were really helpful and helped us all to settle in very quickly. Every day the teachers would greet me even if they were just walking past me in the corridor or in the playground and they filled me with the confidence and encouragement that I needed to help me through my first few weeks at secondary school - I really couldn’t believe how nice some of the teachers were! On the one of the first weeks at break time, I was talking to one of the teachers Miss Naish about my old primary school and I told her that I lived in Lewisham. She was surprised that I travel so far to come to school each day and asked me why I didn’t choose a school closer to my house. I said that the reason I chose Ark Globe Academy is because it is definitely the best school in the area for me to be to be able to get good grades so I can be successful in my life and my career and that it is definitely worth the longer journey every day. I am really excited for the next years I have at Ark Globe." 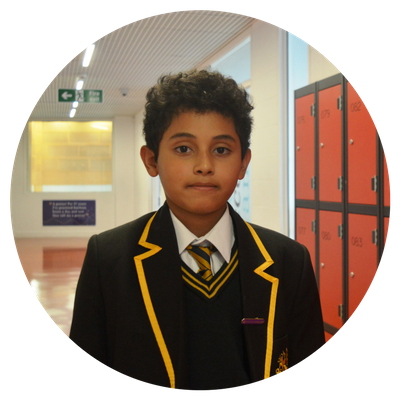 "Unlike many of the Year 7 students here, I didn’t attend Ark Globe Primary, so when I was about to start Year 7, I was worried as I had no friends here and had no idea what to expect from the school. Wisely, I decided to attend the Ark Globe Academy Summer School which I highly recommend to everyone who chooses to come to Ark Globe. In August, all the new Year 7 students came in for a week and we were given a head start on rules and expectations and were able to learn how to get around this massive building! We also got to meet most of the teachers and took part in a mini sports day together. When I actually started for real in September, I felt really confident walking in on the first day as I had already made some new friends in the summer and already knew the school rules and procedures which helped me to settle in really quickly. The reason I enjoy being a student at Ark Globe is because the teachers take any misbehaviour seriously and reward good behaviour which helps us to learn so much in all of our lessons. After only two weeks at Ark Globe, I was awarded a badge in assembly for showing good relationships with my peers which is part of our culture pyramid and I also got to have lunch with Mr Jones the Principal that Friday with the other award winners. I can definitely see myself staying here until the end of Sixth Form and as every day I feel appreciated and welcomed by my teachers and I know that Ark Globe will prepare me well for the next stages in my life." This is an opportunity to visit the school whilst it is in action. New starters are visited in their current schools so that we can understand their individual educational needs. On this evening you will complete the school’s admissions forms with the support of our administration team. It also gives you another opportunity to meet some of our staff. A barbecue for Year 6 parents and children to give them an opportunity to meet other parents and teachers as part of a fun event at the school. At our Taster Days children can meet their teachers and classmates, experience a typical day and get used to the school environment. They are fun days designed to make children feel safe and secure at Ark Globe. An opportunity for Year 6 to get a further taster of the subjects they will study at Ark Globe Academy. It gives your child an opportunity to begin to form new friendships ahead of September. This also helps the school to ensure that children are assigned to the correct ability groups right from the start of the new term.